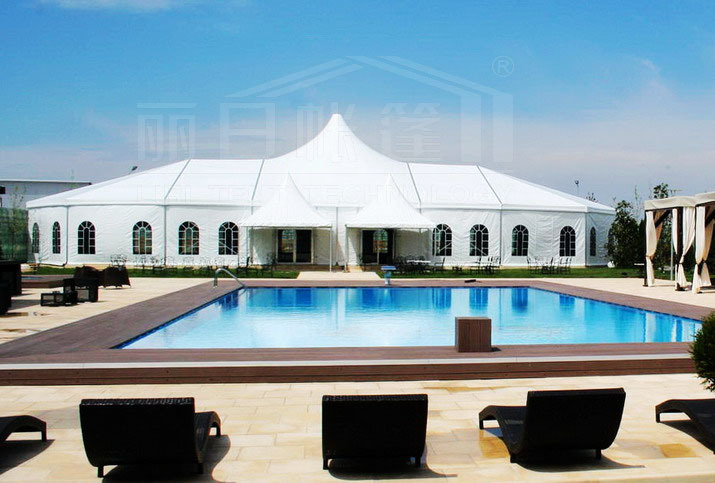 The high peak tent always is an eye-catching structure of its bell-shaped roof line. Clear span width of this series has a wide range from 6m to 40m. High peak unit is able to join with the regular A -shape unit, and multi-sides unit to form a mixed tent. For the high peak tent, it will look very luxury and special for some outdoor events, it will make your event more outstaning and special. Since our tent design is modular, you can add the high peak quantity based on your design, and the preference. 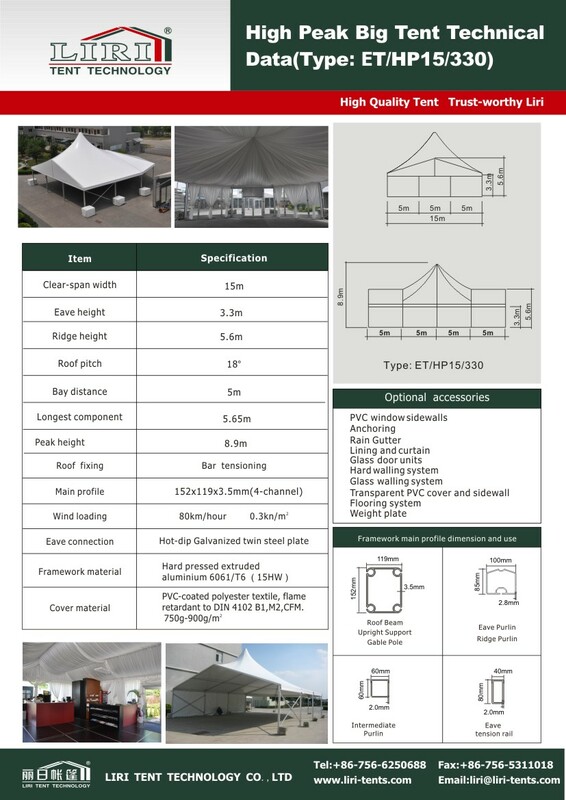 Like the 500 people tent, 15x40m with 2-3 high peak, or more. While for the sidewalls, it is not only using the fabric but also the hard walls system.